This starchy dish is a great breakfast but, as these recipes note, can also be served later on during the day. Our favorites? 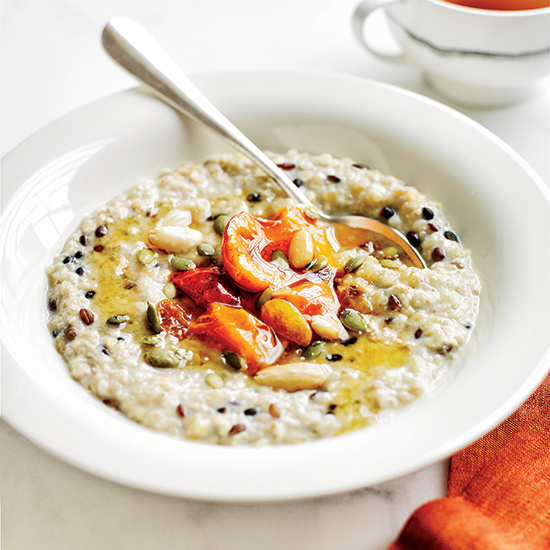 Here, a selection of hearty porridge recipes, from cracked emmer and carrot porridge to mashed banana and whole-grain porridge. 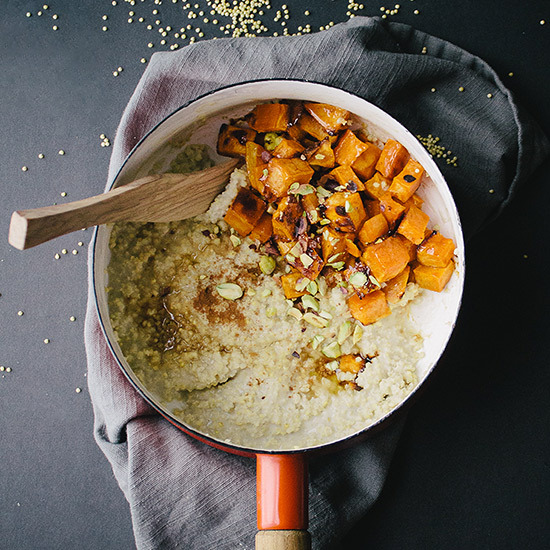 Millet, often used as a gluten-free substitute for oats, is linked to healthy digestion and has a high protein content. 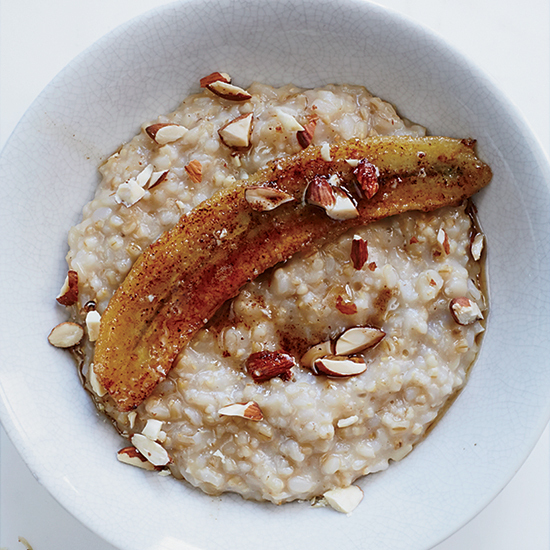 This porridge will be creamier than regular oatmeal and is comparable to the texture of polenta or grits. 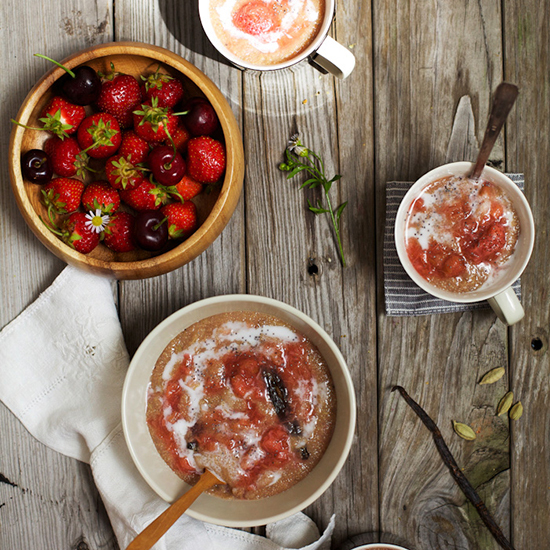 This amaranth porridge makes for a nourishing breakfast that will keep you comfortably full for hours. 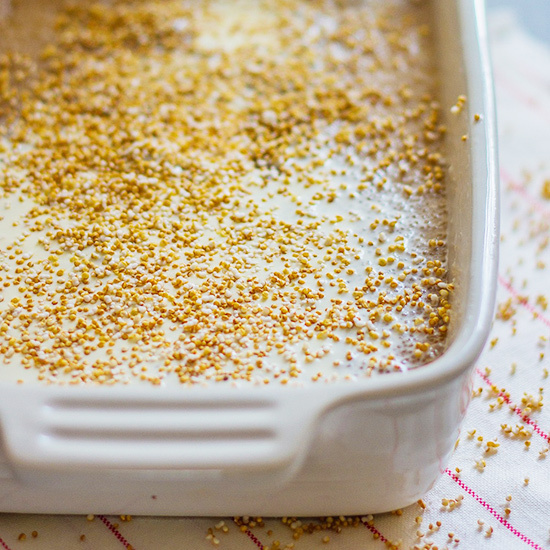 Amaranth is known for its impressive nutritional record, being very high in protein as well as calcium, iron and phosphorus. 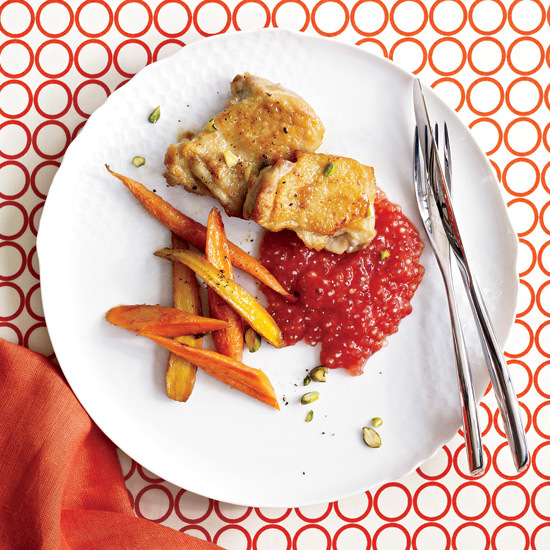 The addition of fragrant spices and stewed strawberries makes it almost desert-like and delicious. 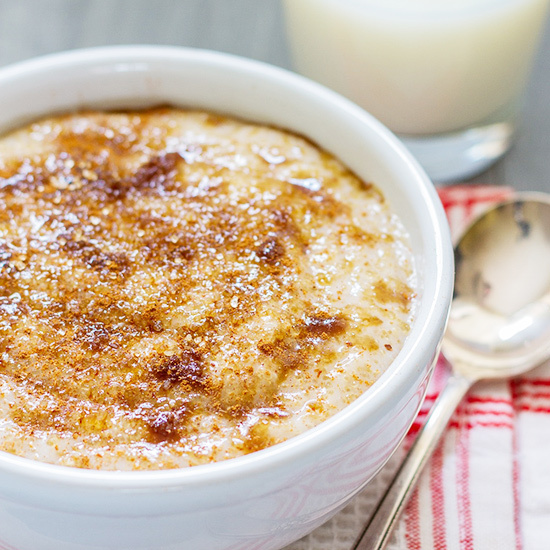 This tasty porridge made with quinoa, diced pitted dates, and hints of cinnamon and nutmeg is ready in only twenty-five minutes. 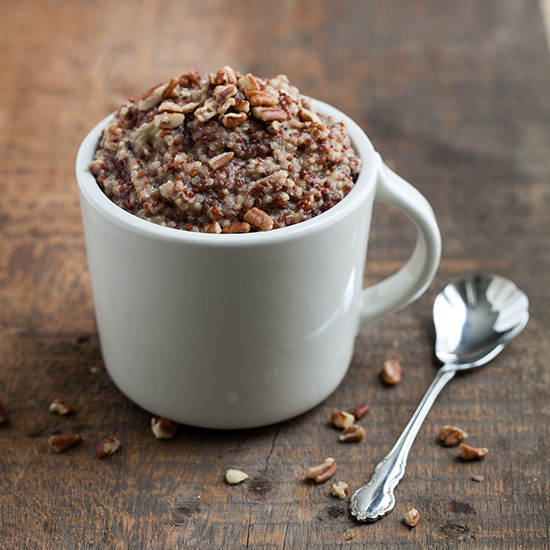 Sprinkle with chopped toasted pecans. 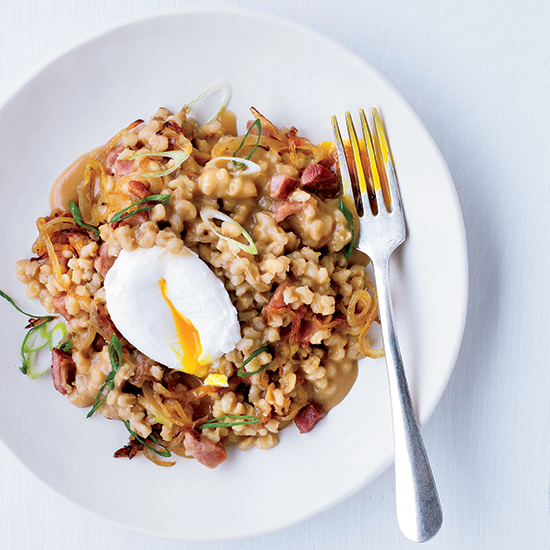 This porridge is creamy and rich with aged Gouda, trumpet mushrooms and Cognac and topped with an oozy poached egg. 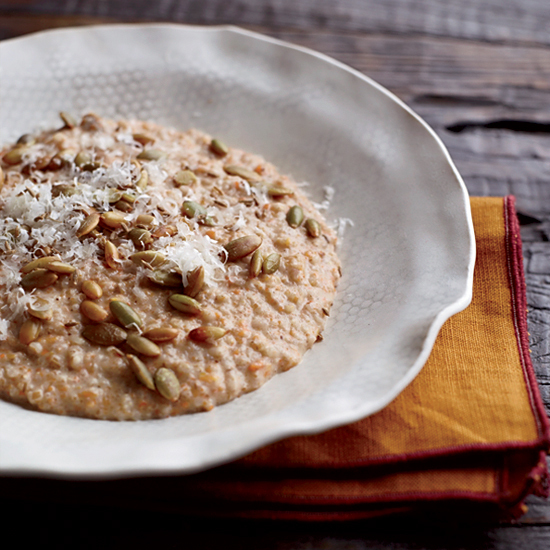 Keller toasts the quinoa before simmering it, giving the porridge a deeper flavor. 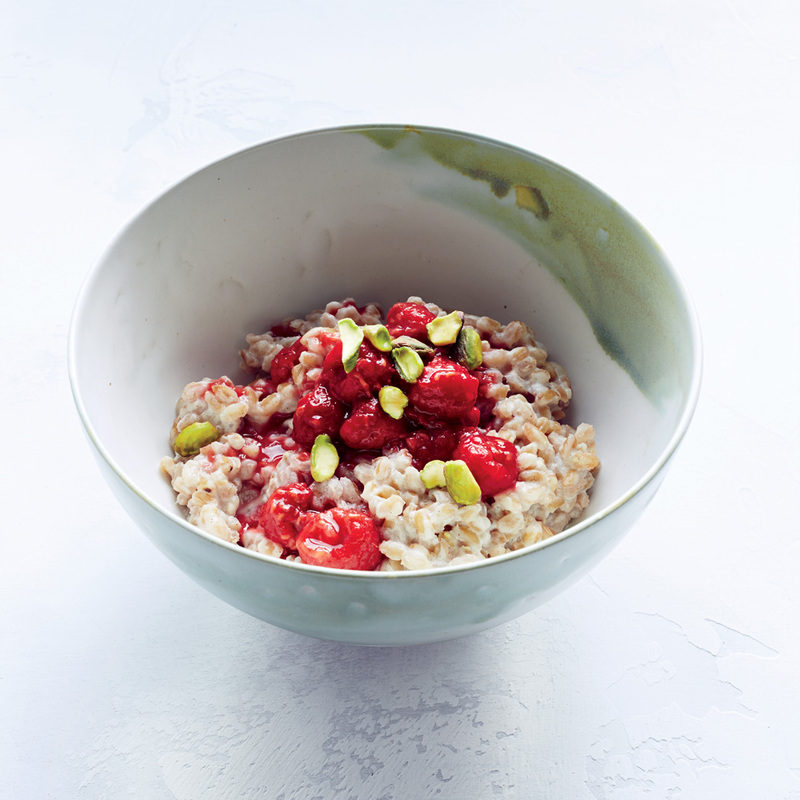 A crunchy popped topping adds great texture to this warm, creamy amaranth breakfast porridge.